This document is available to all those contacting Teresa Pearce MP and details how data is managed and safeguarded. The policy is also given to members of Teresa Pearce MPs staff to ensure best practice at all times. I am the MP for the Erith and Thamesmead constituency. As your MP, it is important that I and my office can keep in touch with constituents about my work, take up casework on their behalf and ask for views on local issues. 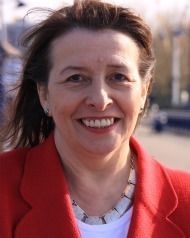 The Data Controller is Teresa Pearce, Member of Parliament for the Erith and Thamesmead constituency. She can be contacted at teresa.pearce.mp@parliament.uk, at House of Commons, London SW1A 0AA or on 020 7219 6936. Teresa Pearce MP and her office process personal data to take up casework and policy issues raised by her constituents. Teresa will undertake casework using personal information provided by or on behalf of a constituent. When taking up casework it may be necessary to share the details you provide with government departments, local authorities and other public bodies. Teresa share as much information as is necessary to take your case forward. If it is not clear whether you would wish your data to be shared, your consent will be sought before doing so. The legal basis of this processing is that it is carried out in connection with the discharge of the functions of an elected representative, pursuant to Article 6(1)(e) of the General Data Protection Regulation and section 23 of Schedule 1 of the Data Protection Act 2018. Teresa has a legal entitlement to the full electoral register for the constituency, which includes the full name and address of every registered elector. She may write to you in connection with her activities as an MP. You may withdraw your consent or unsubscribe at any time from communications in any medium by contacting Teresa or by using the unsubscribe option provided. In order to communicate with you about my work as the MP for the Erith and Thamesmead constituency, it may occasionally be necessary to transfer personal information to countries or jurisdictions outside the EU. In each case, steps will be taken to ensure that suppliers comply with the General Data Protection Regulation or are subject to the Privacy Shield scheme agreed between the European Union and the United States. Casework and Policy Casework Management. Teresa’s office uses Caseworker.mp (data processor) to manage the vast majority of casework. All data entered into their system is encrypted, and then transferred to secure Google Cloud servers. Unless specifically requested by you, Teresa’s office may hold your personal data for the duration of her tenure as the Member of Parliament for the Erith and Thamesmead constituency. Teresa often receives correspondence from constituents about related issues over long periods of time, and retaining this information aids in assisting them. If you have consented to receive information about Teresa’s work, she will only retain your personal information so long as she is the MP for the Erith and Thamesmead constituency, or you ask not to be contacted further. Teresa will regularly review the personal information held to ensure that its use and retention is necessary and proportionate. Teresa’s website (teresapearce.org.uk) does not automatically capture or store personal information, other than logging the user’s IP Address or the location of your computer or network on the Internet, for systems administration and troubleshooting purposes. Teresa’s website also uses IP addresses in the aggregate to track which pages people visit in order to improve the quality of the site. Teresa’s website (teresapearce.org.uk) contains links to other websites. Those websites are responsible for their content and privacy practices. Complain to the supervisory authority, the Information Commissioner’s Office. You may opt out of receiving further communications from Teresa in any medium at any time. All requests to unsubscribe are dealt with promptly, and in all cases within ten days. If you wish to exercise your rights in respect of your personal data or have any concerns about how your data is used, please contact me on the details above.